Every now and then we hope to find new stories, new techniques, and new approaches to wedding photography, and share them with you here. For this week we planned to look at Fuji’s strategy for the X-Series cameras in India, but then we didn’t plan for Carol Kuntjoro. 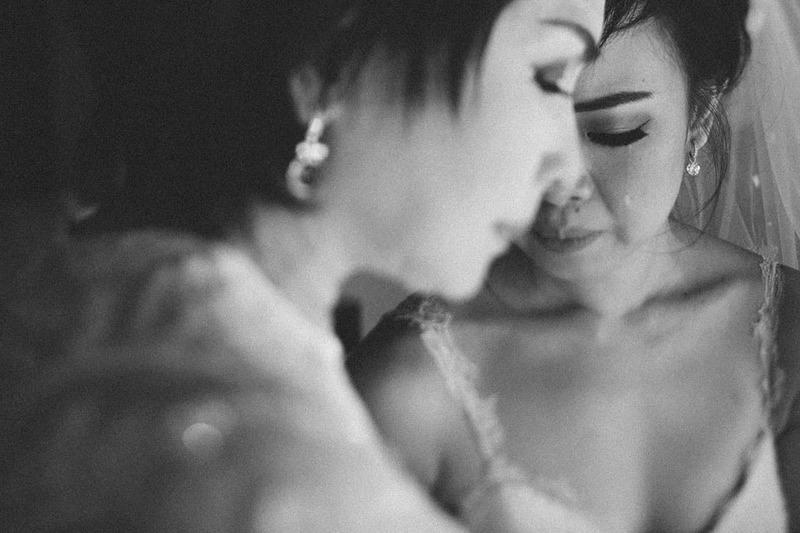 She popped up on our radar with this incredible story about an image that literally changed the relationship of a bride with her mother whom she has not been in touch with for years. Carol uses an interesting approach called Moment Design to create the most incredible images, and we just couldn’t wait to talk with her and hear how she managed to draw out this beautiful expression. Here it is! Though Carol Kuntjoro has never been to India, the 27-year-old Indonesian wedding photographer named the company she co-founded Pyara, the Hindi word for love. It is apt; she loves taking pictures of people in love. But she doesn’t just observe when she shoots, she engages. Her real skill is capturing moments that are carefully crafted to unearth underlying emotions, feelings people keep locked up or that don’t surface unless summoned. Most photographers employ their own modus operandi to ease subjects into the state of mind that they want to capture, and as every wedding photographer would know, every couple, every family, and every wedding has a different relationship with the camera. Beautiful moments don’t just present themselves for you to capture, you need to build up to them. 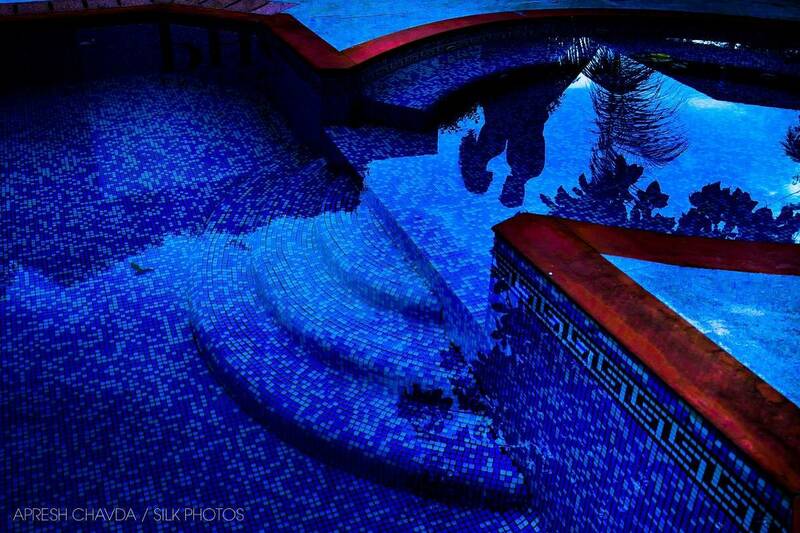 The marketing gurus of photography have a catchy term for it: Moment Design. Carol gave us a peek into how she made one such moment possible. In April this year, she was shooting a wedding in Bali, where she also lives. In her own telling, Carol says she triggers some moments during her engagement sessions, but this time it was the wedding day and she found herself with the bride and her mother, who were not on the best terms. The bride had told Carol before the wedding that she had lived away from her mother since she was a teenager and that they were not at all close. Besides, the bride added, “my mom is so cold, she won’t cry for me”. Carol wasn’t about to let a mother-daughter moment slip, so she got to work. “I told the wedding planner and the videographer to step back and give me five minutes to talk to both of them,” she recounts. Carol began talking to the mother, making small talk, getting her to talk about random things, and then for the last question, she gently asked the lady about the moment she felt most proud of her daughter. At first, the bride’s mother laughed saying she did not remember anything. The wedding planner interrupted saying that the veil procession had to start and their time was up. Suddenly, the mother gestured, letting them know she did infact have something to share. She started telling them about the day when her soon-to-be-married daughter graduated with a master’s degree. She remembered every little detail of the day of the ceremony she had attended with the bride’s late father. It was a moment of revelation for both the mother, and the daughter, opening the floodgates on emotions that had till then remained unacknowledged. The daughter burst into tears. So did the mother. All Carol had to do was tell the mother to take her time, to hold her daughter tight for the last time before letting her walk down the aisle. “And I told her we won’t rush her, anytime she is ready to give away her daughter to her future husband she may close the veil,” Carol recalls. And she had the moment she wanted. “It was so quiet and so peaceful,” Carol says. 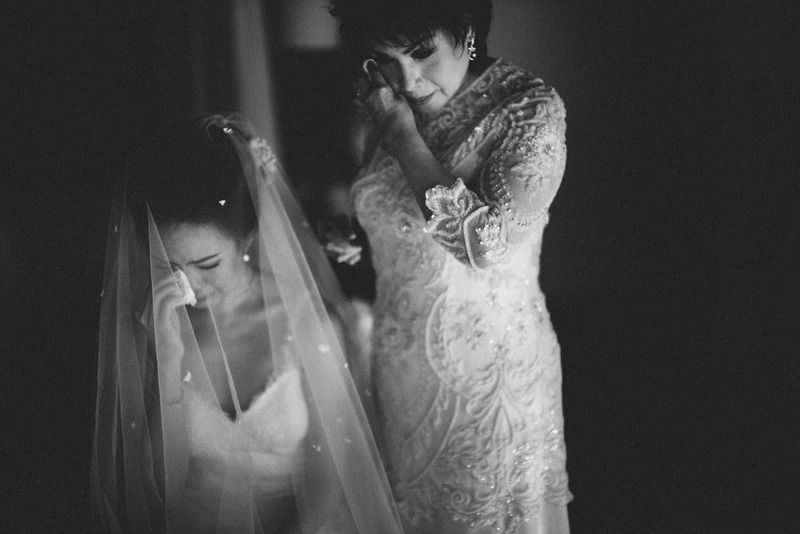 The mother finally kissed and hugged her daughter tightly and let her go by closing the veil. She believes that communicating is key in such situations, and maybe some empathy. Carol remembers that she had to reach into her own past to draw out a response from the mother and daughter. Their situation reminded her of her own strained relationship with her dad. Before she became a professional photographer Carol worked for many years in her family’s IT business. She realised it wasn’t what she was meant to do, so went ahead and pursued a photography course in Singapore, got an MBA and finally resigned from her father’s business. For someone who is masterful at bringing out the hidden depths in others, when asked for her own photograph, Carol revealed that she actually gets very anxious when photographed. It would require a lot of “designing” to bring out her love for the camera while standing in front of one!